Do You Wanna Be A TV Star? I guess it’s supposed to be one of those “man (or woman) vs. nature” things, and so they want someone who ekes out an existence by catching their own fish, capturing rainwater to drink, and just generally living like Robinson Crusoe on a boat. I explained to them that the vast majority of full-time cruisers live lives similar to that of someone in an RV staying in campgrounds. They shop at markets, visit restaurants, and tend to drink very little rainwater. So they thanked me for my time and moved on. 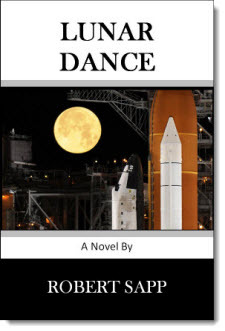 One of the producers did mention that they’ve done work with the SyFy channel in the past, which gave me a chance to pitch my book as a possible TV movie. 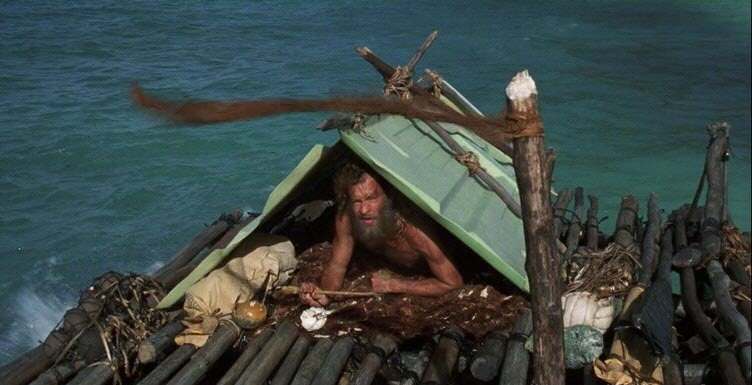 So if anyone out there knows of someone who may be living a life that’s closer to The Beverly Hillbillies or Castaway on a boat, please let me know so I can pass it along. If I can generate some useful leads for them, maybe they’ll actually take a look at Lunar Dance. This guy would be ideal. Anyone know his email address? This entry was posted in Who? on May 29, 2014 by Robert. While it’s fun to write wittily crafted posts that explore the conflicts, contradictions and consequences of a life afloat, sometimes we just want to share some info. One of our goals for this blog is to pass along some of the wisdom we gain as we transition from dirt dwellers to Life On The Hook. So here’s a little tidbit for you. Faded, scuffed, and containing a huge air bubble. It still worked, and for many sailors that may be good enough. But your compass is your last line of defense. 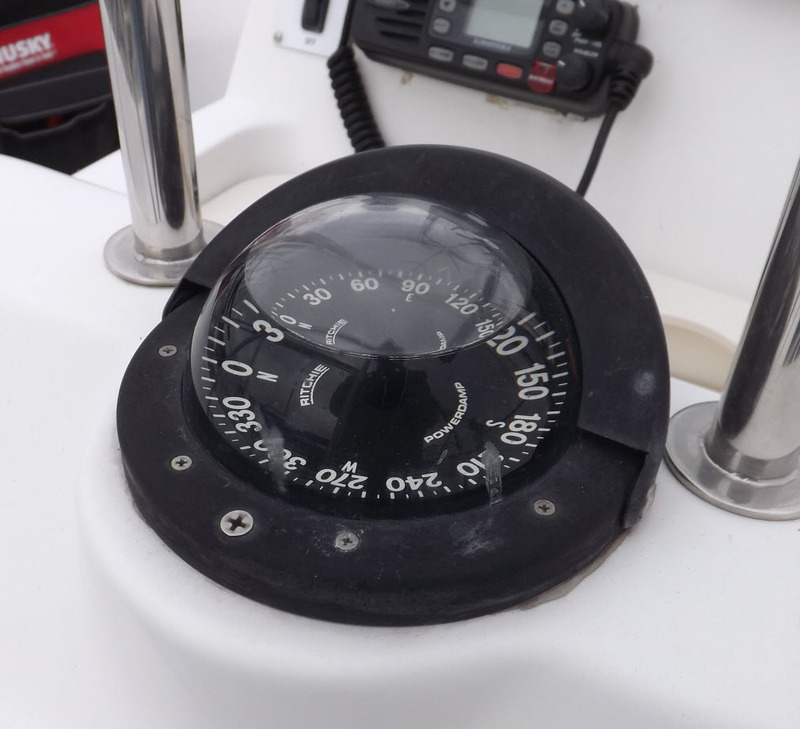 When the day arrives where you’re way offshore, out of sight of land, and an electrical problem kills your navigation instruments, your compass is the one thing you can count on to safely guide you back to shore where you can at least drop anchor and swim to the beach if necessary. We like our compass, and we want it to be healthy, so this will not do. Now you may be thinking, “Well, I’ll just get some compass oil and refill it, and it will be fine,” You would probably be wrong. Unless you have a vacuum chamber, you’re only going to be able to reduce the size of the bubble, not eliminate it entirely. Plus there’s that whole issue of what type of oil does your compass use, and where can you find some more? It’s not like you can run to Lowe’s and pick up a quart of compass oil after all. And even if you do manage to refill it successfully, there’s still the fact that your compass has a leak, which you haven’t fixed, and which will cause the bubble to come back again. Any decent compass includes a bellows assembly and seals and such that allows the oil to expand and contract with temperature changes, which is probably where your leak is, and how the heck do you get those parts? No, this is a job for a professional. 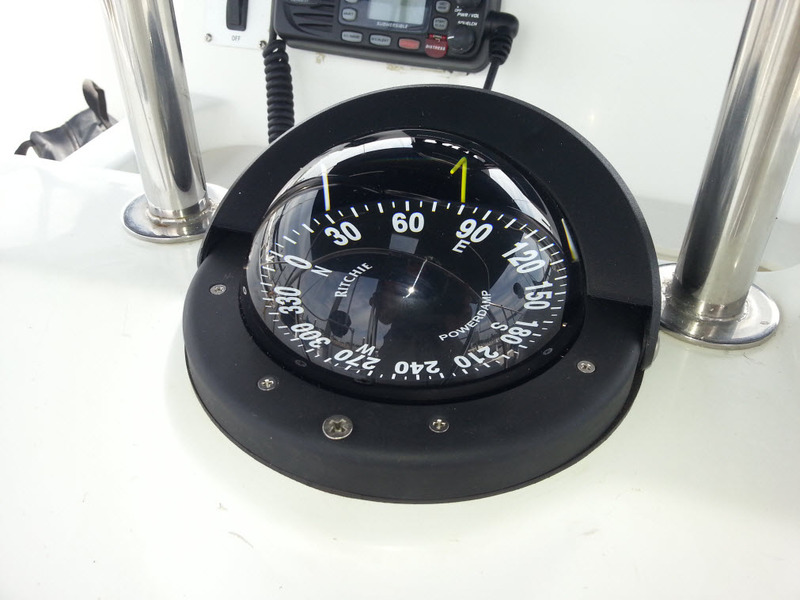 Probably like most compasses on recreational yachts, ours was made by Ritchie Navigation in Pembroke, Massachusetts. A brief internet search gave me their website, where they provided the details for their factory reconditioning program. A quick trip to the post office, and our Ritchie Helmsman was off to rehab. This entry was posted in How? on May 28, 2014 by Robert. 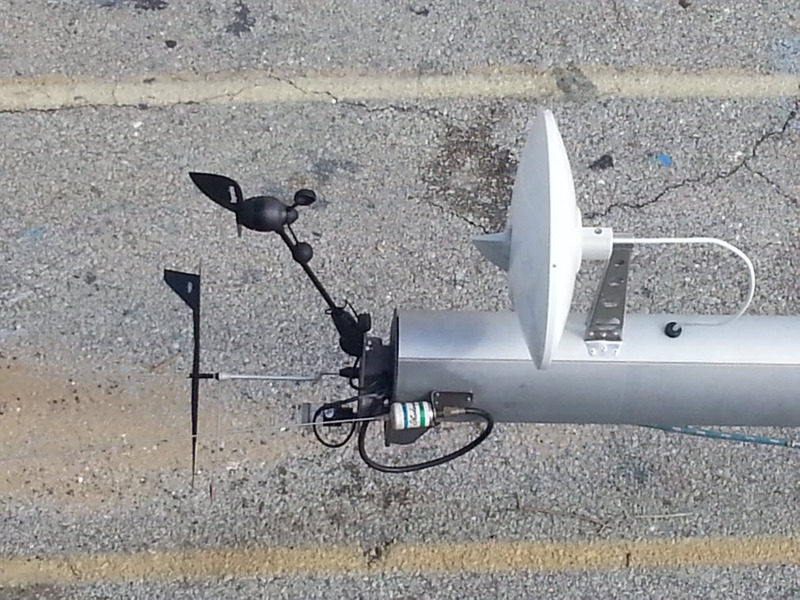 About A Boat Buck (A Thousand Dollars) Of New Masthead Instruments While They’re Easy To Reach. Uh Oh. 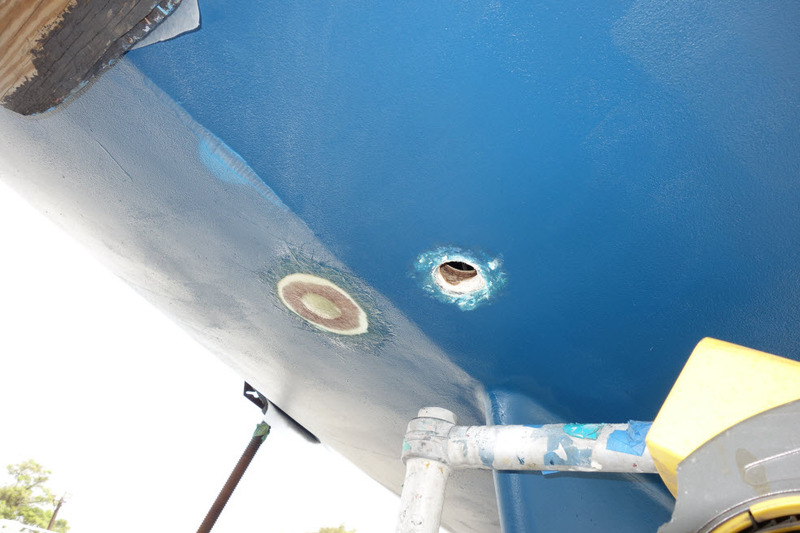 Blisters Hiding Above The Rudder! We’re among the lucky ones. We escaped with our boat intact before the money ran out. Others are not as fortunate. Various corners of the yard are littered with the carcasses of abandoned or discarded boats, each a cautionary tale of crushed hopes and insolvency. They silently bear witness, waiting, waiting for your spirit to break, your ambition to fade, your bank account to run dry, so that your boat can join their grim cavalcade of despair. Free At Last And Finally Smiling Again! 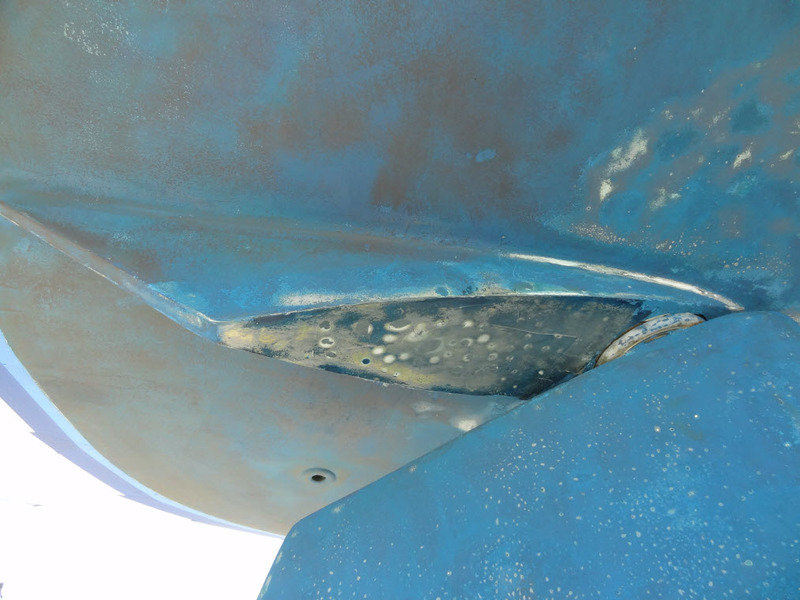 This entry was posted in How?, Where? on May 23, 2014 by Robert. 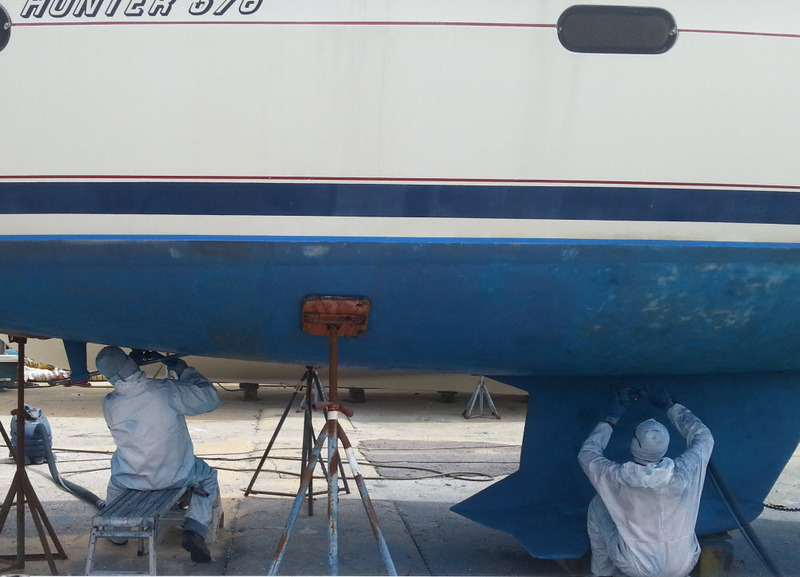 Not much time for blogging lately, as we’ve been waist deep in the mini-refit we’re doing on our new boat as we rush to get her out of the shipyard and back into the water where she belongs (several future posts to come on that issue, don’t you worry). But I thought I’d take a moment to pass along something amusing, just so you’ll know we’re still alive and well. Today’s musing is about signs. Not street signs or billboards, but those subtle little messages that the universe sometimes sends you to let you know it’s aware of your existence and knows what you’re up to. Some people are sensitive to small snippets of order that emerge from life’s daily randomness. Rhonda is one of those people. For example, she’ll patiently explain to me that it was no mere coincidence that on our trip up to examine the boat we were about to purchase, we were given room 304 by the clerk at the Hampton Inn, and the next day we found out that the marina we were headed to was off highway 304. It was obviously a sign of some kind. Or take for another example the fact that we were assigned slip 144 when we placed our first boat at Bayou Grande Marina in Pensacola. One plus four plus four equals nine, and we signed the contract for the boat on the 9th of September, which is the ninth month don’t you know. See? Meaning from randomness. It’s a sign. I’m generally OK with all this, because her signs are mostly positive, and usually tend to support or confirm whatever course of action we’ve recently embarked upon. It’s as if we (through her interpretation of the signs) are receiving regular subtle doses of positive reinforcement. I’m sure I’d have much less patience with the whole subject if she were seeing portents of doom everywhere. But it’s been pretty harmless, so I mostly consider her interest in such things to be benignly amusing. But every so often something happens that makes even cynical old me go “Hmmmmm.” Case in point. 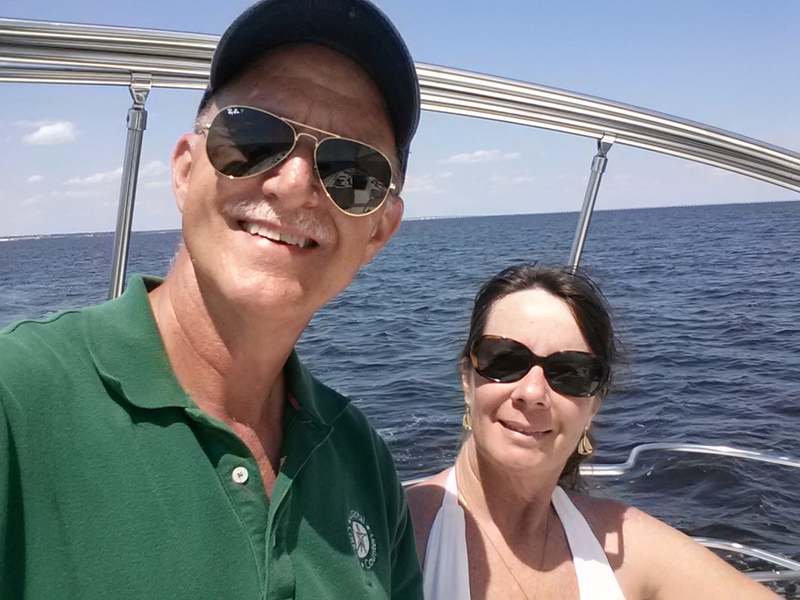 We have had so many boat related tasks to accomplish these past two weeks that Rhonda and I have divided up the responsibilities in order to double our effectiveness. We knew we had a denaming ceremony coming up, to be followed shortly after by a christening. Doing a proper denaming ceremony requires several bottles of champagne. 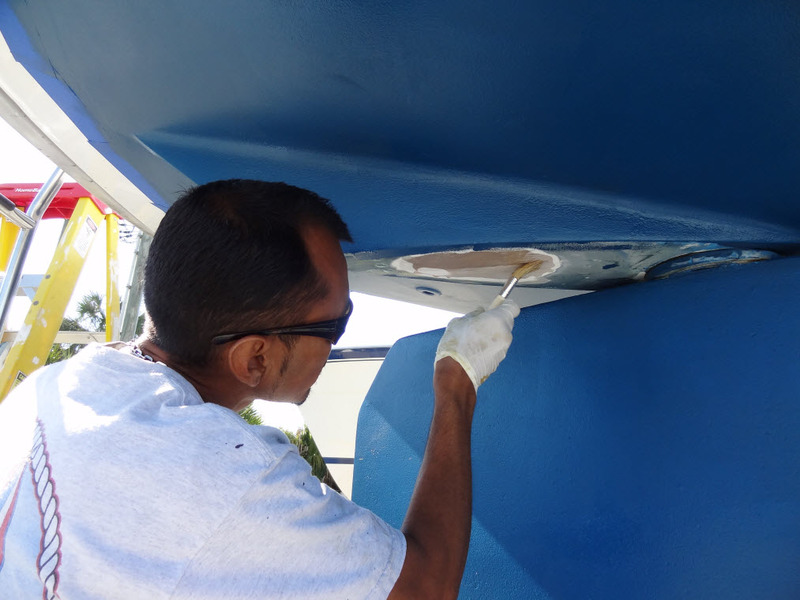 Prior to the christening, we needed a silver dollar to place under the mast before it was stepped (raised). 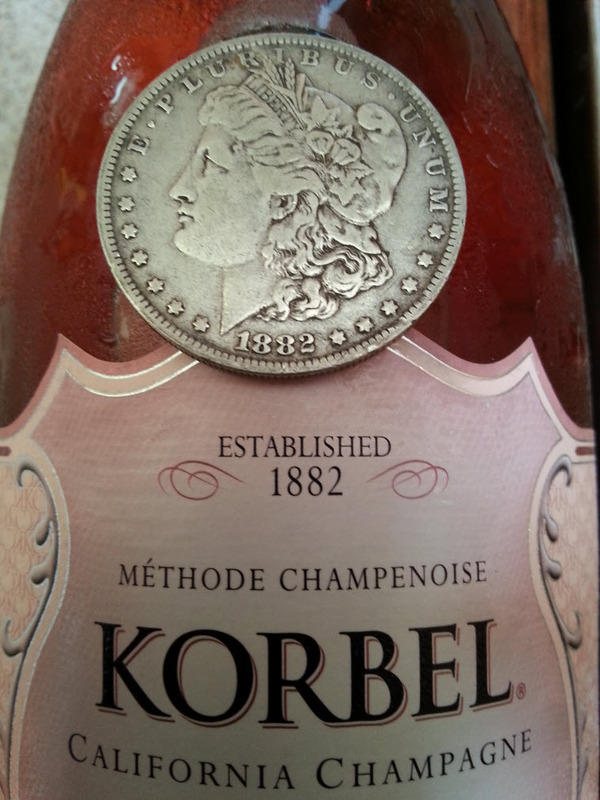 The coin shop was on the east side of town close to Rhonda’s work, and I’d handle acquiring the champagne. We really didn’t do any further coordination on the subject – just you get a real silver dollar, and I’ll pick up some decent champagne. That evening, Rhonda proudly showed me the Morgan silver dollar she’d acquired. I thought it was an excellent choice, because in a way it reminded me of us – it showed the wear and patina of use and a long life, but still had a distinctness that showed you its value and character. I showed her the champagne I’d picked up. Not the cheap stuff, but something in the mid-price range that probably reflects our station in life. “What do you mean?” I asked, Of course I bought the champagne deliberately, I was thinking. “Why did you pick out this bottle?” she asked. So I started to explain how I didn’t want to go cheap with something so important to us, but didn’t want to spring for the really good stuff since so much of it will be poured into the sea. “No, that’s not what I mean. Look!” she said, and held out both the bottle and the coin. So figure the odds. Is it a sign? Beats the hell out of me. But I can’t help but feel like the universe just tapped on our shoulders and gave us a nod and a wink! And I guess we’re both a bit comforted by that. This entry was posted in What? on May 20, 2014 by Robert. We cruisers are a frugal bunch. That means we do as much of our own maintenance as possible. 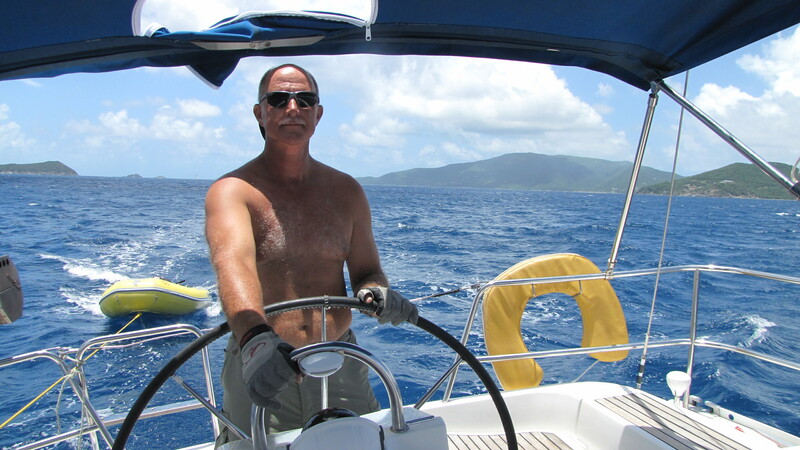 I could say it’s because we realize that skills gained through practice create self-sufficiency, an important attribute for those who wish to travel the less populated regions of the planet on a boat. But it’s mostly because we’re cheap. Money saved through our own labor is that much more beer we can buy. But being frugal has its own cost. When we bought our first boat in 2009, we knew she needed a bottom job. Having done one once as a very young man, (so long ago that the pain was forgotten) I knew Rhonda and I could do it ourselves and save several thousand dollars. So we crawled around for three days on our hands and knees holding electric sanders over our heads as a cloud of toxic red dust rained down on us. Our eyes were raw, our joints ached, and the flimsy paper dust masks we wore did nothing to stop the copper-laced paint from working deep into our throats, lungs and sinuses. I sneezed, coughed and spat up blood red gunk for days. 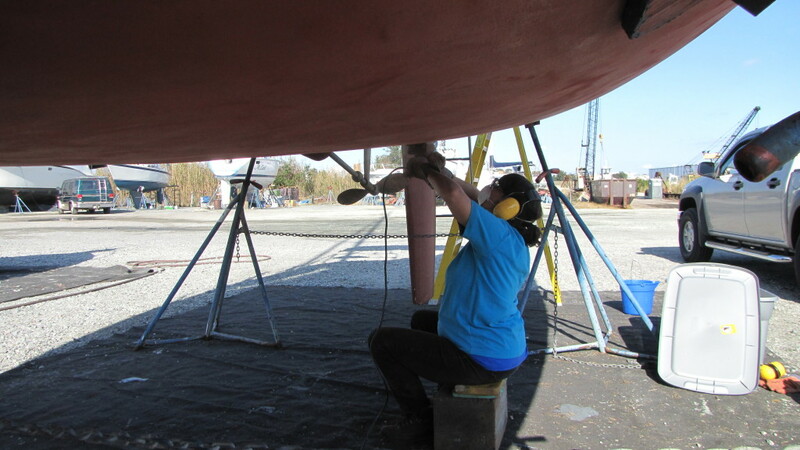 Then, we spent two more days duck-walking around rolling on two coats of red bottom paint (three at the waterline), trying in vain to avoid the drips, drops and spatter that flew from the rollers. 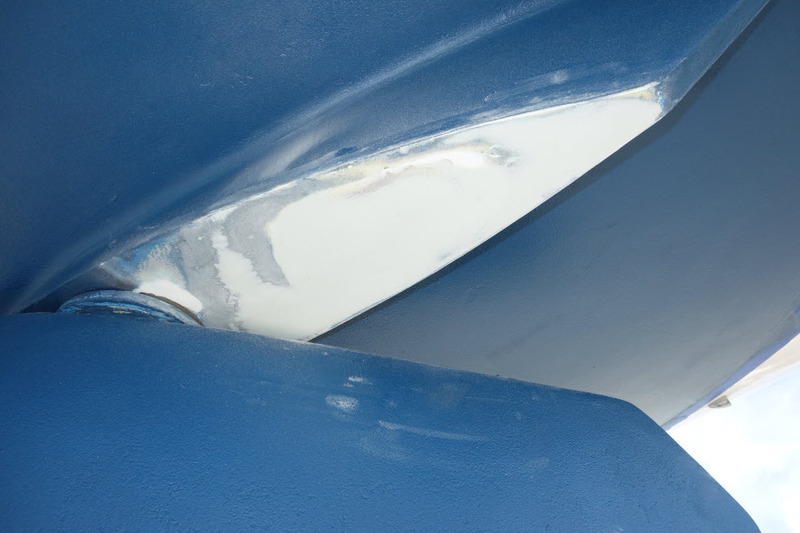 Your boat never looks better than when it has a new bottom. But the work sucked. So now we have a new boat. And she needed a bottom. Blue this time. 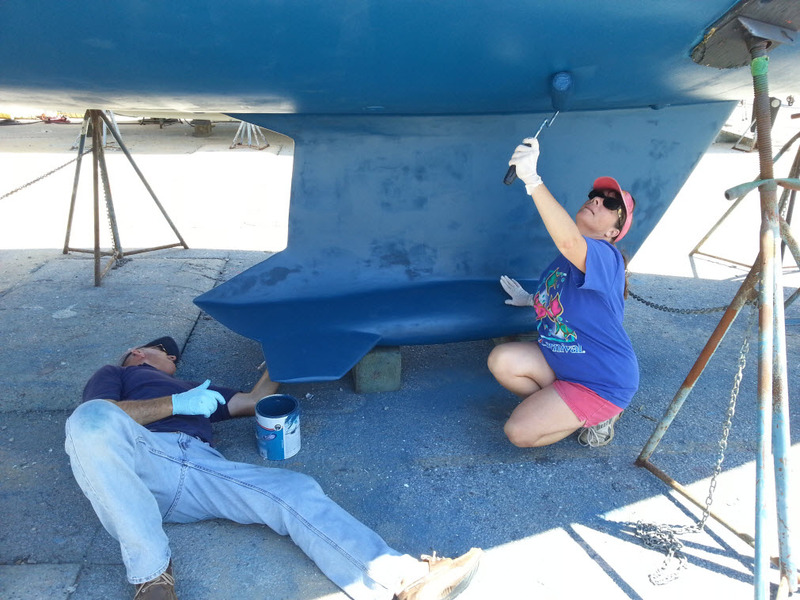 We like the way red looks, but we’re already changing this boat’s name, and we want to try and keep things as familiar and comfortable for her as possible to help her in her transition. So we’ll stay with her current color. But four years is not sufficient time for the pain to wear off. We’re still frugal, but in a more nuanced way. The worst part of the job was the sanding. So let’s pay the yard to do that part. Let them eat dust. 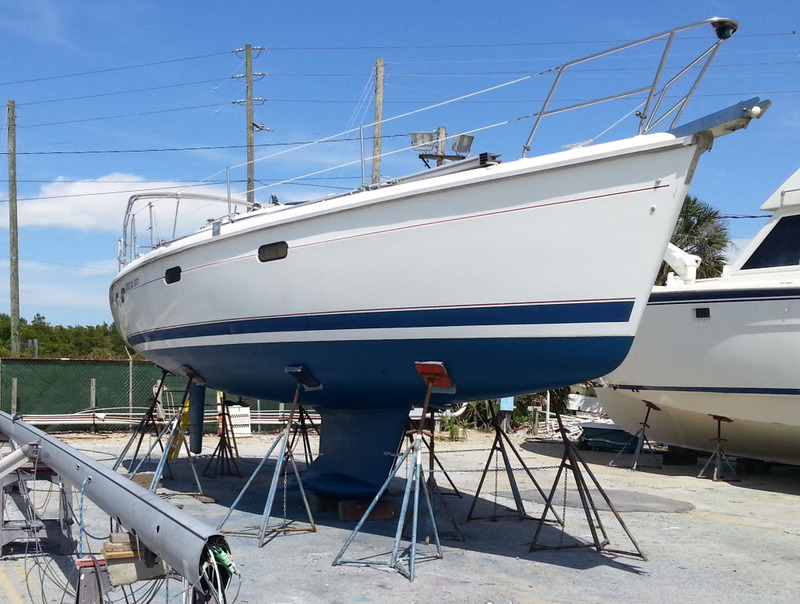 And then we’ll just roll on the new paint and be done with it. Just Look At All The Fun They’re Having! You know what? Spending two days squatting while working over our heads is not one damn bit easier now than it was four years ago. We have blue freckles in places that I can’t imagine how paint ever reached. While we don’t have the persistent metallic taste in our mouths this time caused by ingestion of way too much copper, I feel like I’ve been worked over with a baseball bat. I think every can of bottom paint should come with a coupon good for one free hour of chiropractic care. But she sure does look nice. And we saved a bit of money. 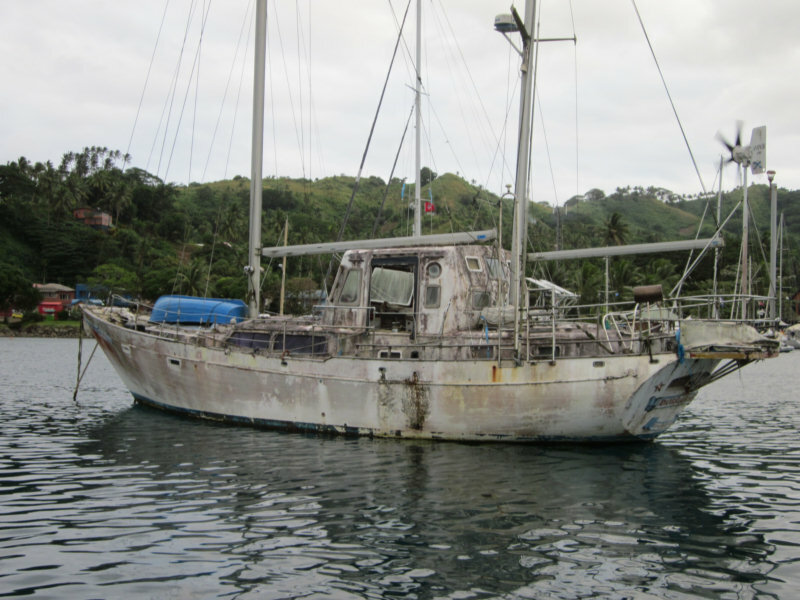 I told Rhonda that with a little luck, our next bottom job will involve her and I sitting in the shade of a palm tree sipping cool boat drinks while watching a crew of hardy islanders do all the work at a boatyard in Grenada or Trinidad. Someplace cheap, exotic, and very very far from here. This entry was posted in How? on May 10, 2014 by Robert. Some months ago, Rhonda and I attended a two day retirement planning seminar. It really pissed me off. Why? Because one of the things we learned at this event was life’s true purpose, at least as it’s defined by financial planners. It’s breathtakingly simple, but quite unsettling. What is this incredible truth? Your true purpose in life is to work as hard as you can for as long as you can, denying yourself as much as you can in order to save all that you can so that in the final year of your life, you can afford to pay tens of thousands of dollars a month to an institutional care facility to feed you gruel, wipe your drool, and regularly change your diapers. Yep, that’s what they said. Not in so many words, of course, but for two days we were fed a continual stream of information about how hideously expensive assisted living and end-of-life care are, how much more expensive they are projected to become in the future, and that no matter how much money you think you’ll have or need, it won’t be anywhere close to enough. For two days I sat there waiting for the punch line, but it apparently wasn’t a joke. And the kicker was that even if you buy into this notion of how your life should be spent, most of the people who live like ascetics and save every penny they can will probably die from a stroke or a heart attack or a too-close encounter with a bus long before they ever get the opportunity to enrich our assisted living industry. Great for the kids and grandkids possibly, for you not so much. It took a lot of bourbon and Jimmy Buffett to get my head right and make the bad taste go away. In the end, I decided I have no desire to live my life that way. As I said in my previous post I Am Serious. And Don’t Call Me Shirley, our greatest joy is in being together experiencing photo-worthy moments. So I think we’ll just go cruising, and let tomorrow tend to itself. If the goal is to try to die rich, I’ll be happy being rich in memories. So how do you want to spend your life? This entry was posted in Why? on May 7, 2014 by Robert.